Bringing love and joy through four generations is an amazing accomplishment. 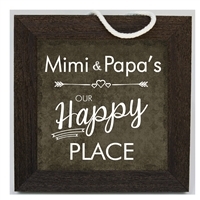 Celebrate the great grandparents who made your beautiful family possible with gifts designed with them in mind. Our great grandparent gifts are perfect for a wedding anniversary, birthday, holiday, or just to show you're thinking of them. Bring your great grandparent gift ideas to life with beautiful family generation tree frames to highlight how your family has grown. Your great grandmother will love our glass heart frame and your great grandfather is sure to enjoy a brag book celebrating the life and accomplishments of their great grandchildren. 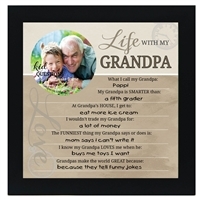 We're sure your great grandparents will be proud to display great grandparent frames of their family complete with sentimental poems and will be moved with the memories of how far they've come. 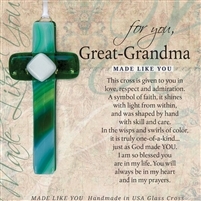 Take a look through our gifts for great grandparents and choose something thoughtful to bring a smile to their faces.